For the 22nd Day of 28 Days Later, we are proud to present Jaime Adoff. 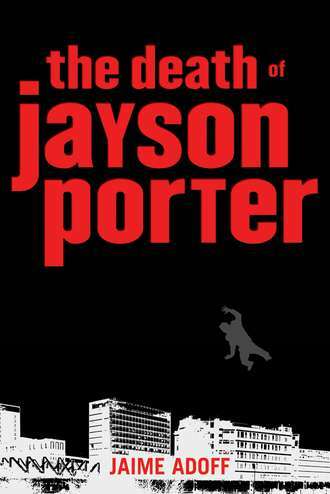 Your latest novel, The Death of Jayson Porter, deals with some very dark subject matter–drinking, drugs, violence and suicide–but you approach the novel in a very realistic and inspiring manner. What was your approach to writing the novel? How did you come to understand Jayson and his world? From the beginning I knew it was important to be completely in Jayson’s world. Meaning, as I was writing I needed to really see, hear, smell and taste everything he did. I used a lot of my own past inner emotional turmoil to fuel many aspects of Jayson’s character. Once the fire was lit I was able to expand from what I had felt to create a completely authentic and original emotional landscape that was all Jayson Porter’s. 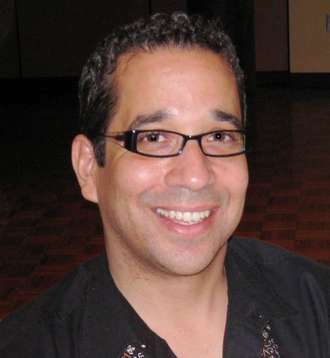 Although I have never lived in Jayson’s world, his environment per se, that is never a pre-requisite for a writer. Sadly, I have met and known many “Jayson’s” that live in various parts of the country, from varying backgrounds. His story is not unique, but in telling it I hoped to shed some light on a disturbing but all too common problem in the lives of many of our young people. Although drug use amongst teens gets much attention, teen suicide and attempted suicide still does not, especially in the African-American community. I hope in some small way this book can start a discussion and dialogue between teens, parents, teachers and community leaders alike. You use a combination of prose and blank verse in the novel? What drew you to write the novel in this way? The “Death of Jayson Porter” is the third novel I have written in this style. This poetic-prose style was a perfect fit to tell Jayson’s story. The immediacy and emotional impact that was absolutely necessary in the telling of Jayson’s story could only be told in this style. As the reader you are catapulted into Jayson’s life. The sparseness and poetic nature of the writing I feel, breaks down the wall between reader and character until the two are one. In addition to your novels, you’ve also written picture books. 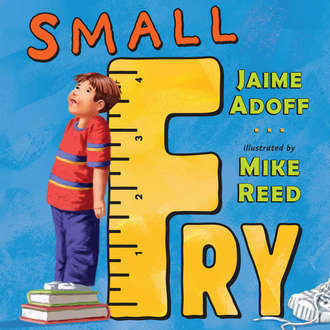 Your latest, Small Fry (Dutton, 2008), celebrates the challenges and benefits of being short. What inspired you to write this picture book? Your father, Arnold Adoff, is a celebrated poet and anthologist, and your mother, Virginia Hamilton, was one of the most honored and cherished voices in writing for children and young adults. How did their respective careers impact your career? Besides being incredible parents, just seeing the creative process up close at an early age had a profound effect on me and the person I would become later in life. When I was younger I never wanted to be a writer, my path was music until I was almost thirty years old. So as I was pursuing a music career their writing careers were a shining beacon of what was possible, and what could be in terms of being an artist. When I turned to writing they were overjoyed and equally as supportive of my writing career as they were of my music career. Tough Question–Do you consider yourself more of a poet, a novelist or a musician? I would say to aspiring authors to write and write and write and read and read and read. Develop your own voice and way of telling the story that is uniquely your own, that is what will set you apart from the rest. I am currently working on two novels. Both are Young-Adult and both God willing will get finished!! I know of his parents, but did not realize they had a son. Since my family is interracial, their books were the ones I bought as soon as I found out I was pregnant. Great books, glad to see the apple doesn’t fall far from the tree. Will check it out. Have I mentioned I’m learning so much!! Names Will Never Hurt Me is the phenomenal Jaime Adoff book I knew best – am looking forward to hearing more about his YA stuff and am excited for more YA! I am now anxious to read JAYSON PORTER. Thanks for this interview. Teen suicide is a very sensitive topic. I am glad that you are able to put it into words and get people talking it out. Thanks for sharing. What an amazing legacy to have! I would be interested in hearing some of Mr. Adoff’s music. I also love the idea behind Small Fry, I was never too short myself but my brother is really short and he struggles with it, especially because he loves sports and often gets passed over for taller kids.